As some of you may know, I recently made my own Doctor Who themed sewing case. However mine lacks all of the cuteness that this fuzzy little Dalek sewing case has. It’s just so cute and murdery looking. Isn’t this little guy adorable? He looks like a Dalek, but I’ve never seen a Dalek looking this cute. 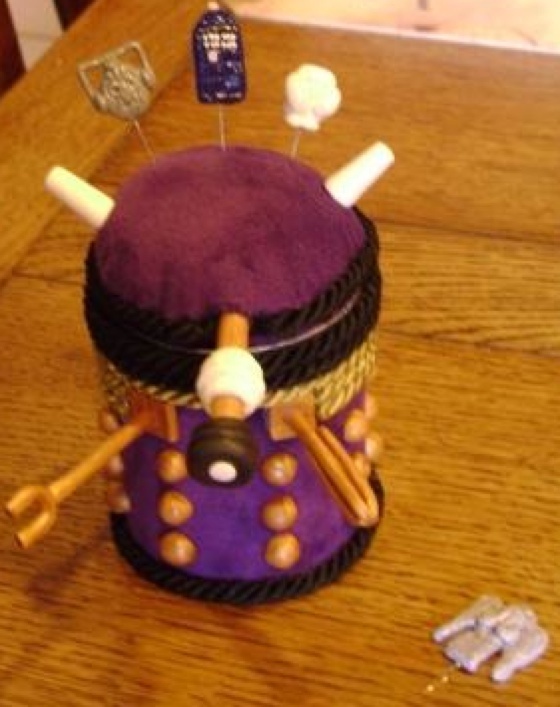 Now that you’ve seen him, I’m sure he’s the envy of all you Doctor Who crafters out there.